• H2O International Inc. and CECOS Inc. donate to WWIF. In lieu of sending Holiday cards H2O and CECOS sent electronic cards and donated the money saved to the Foundation. The idea was presented by Wendy Cyriacks, President of Cyriacks Environmental Consulting Services who had done a similar thing in 2009 and donated the money to the Homeless and the Nature Conservancy. • Wishing Well International Foundation is born: Finally, a few years after the idea was born and after diligently refining the concept and deciding on the right timing, Guillermo Guzman Founder and CEO of Wishing Well International Foundation incorporates in the State of Florida. 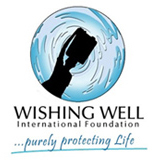 Wishing Well International Foundation (WWIF) is a Non-Profit organization bringing clean safe drinking water to developing areas. WWIF will also focus on Sanitation and Hygiene to enhance the quality of life and reduce disease and mortality.